In one of my college literature classes, I read A Room of One’s Own, by Virginia Woolf. I loved that short book, somehow it called to me, even before I thought I could be a professional writer. It was before my brain could fathom that someone would want to buy my book. It was before I knew it was possible to make a living as a writer. I mean come on, those writer people were truly gifted, talented and mysterious and I bet they could spell. They never failed a high school test even though they had all the right answers because if the word was spelled wrong it didn’t count. Anyway, I digress. Even back then, over twenty years ago, my heart loved the idea of being a writer. This little book touched that heart. Made me think of the women that were more servants than wives, women who never had the opportunity to read let alone write, create, or build something of their own. In a long essay that reads more like a conversation with women writers, well maybe society as a whole she explores why most of the great creators early on in human history were men. Even though by today standards I’m not sure I’m a feminist, I do believe every child has a right to grow into the adult with equal choices and dreams. To fulfill a purpose only, they can do. Male or Female. A Room of One’s Own covers her thoughts on society and art and sexism. Woolf, an English writer and one of the foremost modernists and critics of the twentieth century, has an utterly entertaining conversation with us as she walks through the European history of women in writing. With humor and tongue in cheek, she smoothly points out the success of the likes of William Shakespeare while lampooning the chauvinistic state of university education in the England of her day. Yes, women’s brains were thought to be too fragile to deal with complex reasoning. She made the claim that to achieve their full greatness as writers, women need a solid income and privacy. Woolf pretty much invented modern feminist criticism. Opportunity is what we need to succeed, and it is up to us to make that happen. To achieve my dreams, I found I needed a couple of things. Did I need a place to write? Yes, but as the mother of four kids, that was not always easy. I made my quiet corner where I was at the time. My car was my quiet room when my kids were dependent on me for transportation. Notebook in hand I write as I waited in the pick-up line or for the end of volleyball, football or basketball practice. I’d write as I waited for a track event to start. Play practice gave me a great deal of time. A room of her own. Every woman needs one. During my thirty-minute lunch break, I write dialogue. I’d record notes on my smart phone as I shop or drive. I have learned to create my own room wherever I am. 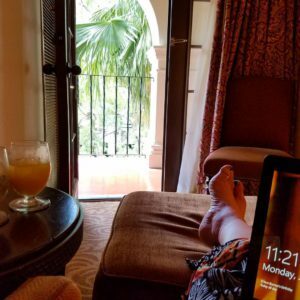 A few times I have treated myself to a little get-a-way…a writing retreat. At home, I do have an office I could write in, but I prefer to be close to the family. So I have made a creative corner at the end of my dining table. With my Beats and storyboard, I’m good to go. The view is nice too. San Antonio Romance Authors of RWA. Something else I needed was a supportive writing community that understands the business, and who knew the voices in my head were not weird. 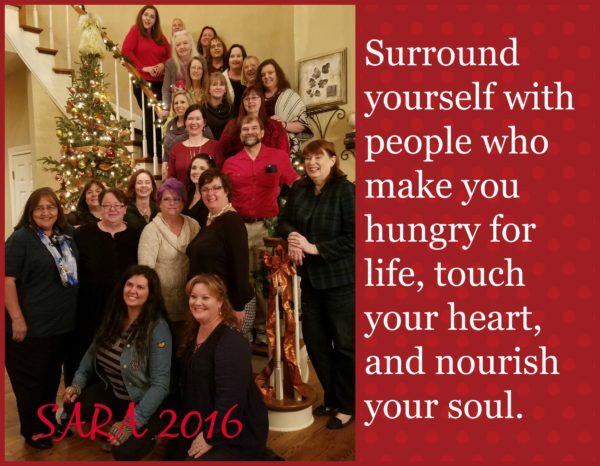 I have a local writing group, SARA, where I have met some of the people that have become my best friends. 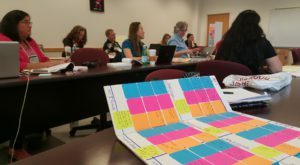 I attend a writer’s academy in Canyon, Texas – West Texas Writer’s Academy (hosted by Jodi Thomas and Tim Lewis) where I have met women who have become mentors and friends. The right writing group will push you to do your best, support you when you fail (yes you will fail) and educate you to know how to reach your dreams and make them a reality. As I was writing this I realized in my last book, The Soldier’s Surprise Family, my heroine has a room she turned into a ceramic studio. I gave her a room of her own, which is her special world that she invites the hero into and shares with his traumatized son. It becomes a place of healing for all of them. Do you have a passion that needs your time to come to life? Do you give so much to others you don’t have time for your own dreams? Do you have that special space or group of like minds that inspire and lift you up? If not, what is your passion and what could you do to make it happen this year? Thanks for sharing about life and the writing process, Jolene. As a retired American Lit teacher, the writer that made an impression on me was Anne Bradstreet, first female American poet. In the mid 1600s women were not supposed write, but Anne’s father and husband encouraged her. The problem of the time was the cost of paper and she had no electronic devices. So as Anne ran her household – cooked, did laundry, cared for her children, she composed poems in her head. She did all her work mentally, so that she would only have to write down the final copy. What a tenacious poet and woman. Her biography Mistress Bradstreet: The Untold Life of America’s First Poet was inspirational on how far we have come. Last night I was at a birthday celebration hosted by some former German students for their mother. My students know my passion for reading and story telling. One suggested that if I write a book she and her family, as well as other students, would be sure to buy it. Publishing a book is on my bucket list and maybe I will be the Grandma Moses in the publishing business. Presently life is hectic doing beta reads and caring for 4 grandchildren. Grandchildren grow up way to fast and those precious moments can’t be taken back, so writing will wait. I often wonder if I would be a writer if I didn’t get to work on a computer. I will be looking for her biography – sounds fascinating. And yes you can be a published author! Love those grand-babies. I don’t have any yet, but I’m sure they will be a huge and enjoyable distraction. I enjoyed reading this, Jolene. One of my favorite things to do is to sneak off with a journal and fancy pen. With family members who need us, sometimes it hard to put our own needs and wants first, but I do believe it’s necessary. Hi, Jill. I have a huge collection of journals and writing pens! And life is a balancing act. We are recent empty nesters and are retiring,quitting daycare,and moving to be near family. I’m praying for the Lord to direct and lead us to where he wants us. We are leaving our church of 30 years where we hold multiple teaching positions. So it is definitely a season of change. I’m looking forward to having more time to sew and spend with grand children! Good morning Diana. Change can be scary and exciting all at the same time! This year for the first time all of our children have left the house. We are enjoying it! They are still close by and we see them often. Enjoy! Great post Jolene. I do have a room of my own that I choose to share with my husband. 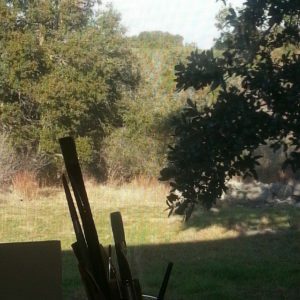 I’m a crafter – scrapbooking and cards mostly, and I dabble with painting and no-sew blankets. This is also where my prayer wall is and where I do most of my Bible reading/studying. Yes, I can stretch myself too thin at times, but I really enjoy volunteering and helping others too. (I have to fit in work as well,) My goal is to be more intentional about my time this year so that I’ll do more scrapping. 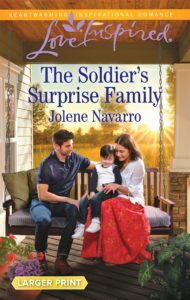 PS I also really enjoy reading and look forward to reading The Soldier’s Surprise Family! Hello, Julianne. I do believe in volunteering and have gotten so out of giving back. And having your prayer wall in your space is a great idea to stay connected to God. Thank you for stopping by. Terrific post and had me thinking back over the years. I used to have a place of my own in the unfinished portion of the basement, next to the furnace. It was warm and the white noise cancelled out four kids, teenagers and preteens making noise. I knew I had to go upstairs when the thumping overhead increased..which meant someone was doing no good. lol. Now that I have a real office with a door, it’s sort of anticlimactic. But I certainly love it! Hey Tina! Yes, now that my kids have all moved out I lok back and find myself amazed how much I got done in the car! LOL. Loving life! Not sure if you know this, but I’m an high school art teacher. I have to say some of my favorite art work is from three year old! LOL They have no fear and don’t worry if others think their zebra looks like a flat turtle. Enjoy the process and open your mind to creativity! God gave you a gift and you should enjoy it. No fear or worries in art! You have to let me know how it goes. I’m more into line, mood and movement when it comes to art! Make your yours and be free with the drawing – let it flow across the page. The point in not to make it look just right but to express how it make you feel. You got this! I’ve only ever drawn free-hand, tried to do it like one of those drawing books where they teach you to make a circle into a frog or something! I’ve never been able to do it that way….lol!! Kind of like someone who plays music by ear and not by notes on a page :-) Thank goodness my drawing teacher never stifled how we drew something, just let us draw how it was comfortable for us. I’m looking forward to picking it back up again and can’t wait for the class in February, praying it will spark that creativity God gave me! You have to share your work with me. I want to see it!